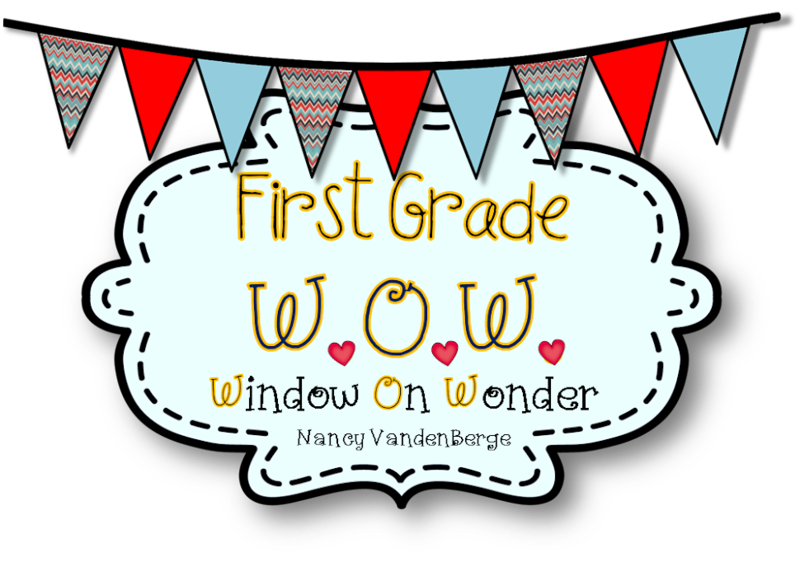 Thanks for stopping by for a peek into the wonderfilled world of first grade! I want to share some highlights of our Camping Theme. We had so much fun studying the animals you would find while camping, researching through Pebble Go, reading poetry, writing poetry, reading books, both fiction and nonfiction, writing our own nonfiction pieces, celebrating reading with camping day, and doing firefly science experiments. We got to show it all off at our annual Open House! Enjoy the view!! Sight word stars on the ceiling! Can you see them? Paper bag backpacks to hold some of our work! Our very own little pup tent!! Can't wait to read in here!! Put glowsticks in ice and hot water. Look at the difference!!! Our Sci Fri experience was to ask questions about the effects of temperature on the brightness of glow sticks (fireflies). (Thanks to the sweet mom who supplied us with glowsticks for each kiddo!!!) We discovered that the warmer the environment, the brighter the glow!!! The chemical reactions release more energy more quickly in a warm environment. Is that why we see more fireflies in the summer months??? I can't wait to catch some fireflies this summer!!! Thanks for taking a peek into our world!! Hope your tomorrow is just as bright!! love the shoes with the acrostic poem. Did you create this unit? I will have to do the glow sticks in the hot and cold water. Thanks for your positive comments! I love creating new ways to incorporate fun into learning. I am soooo "hands on" so I tend to make the lessons for my kids hands on!! My team is great with brainstorming!!! I do save a lot of time for books in the hands of my kids, though!!! Reading is priority 1! I am just learning how this whole blogging thing works. Next on my list is learning how to embed my documents!! Thanks for your patience!! Joyfully! I LOVE LOVE LOVE your ideas! Thanks for sharing them with us. Can you tell me how you made the paper bag backpacks? I would really like to do this next year :o) YOU ROCK! I totally love your ideas and can't wait to start the year with those great acrostic poems - so cute. Thanks for sharing your ideas. Please come and checkout my camping ideas (on my brand new blog - yep, a newbie here). Just stumbled upon your blog. LOVE THE CAMPING projects. Thanks for sharing. Just found your blog via Pinterest. I am teaching summer school and our theme is Camp. I am excited to do the firefly/glow stick experiment with my kids. Thanks for sharing. Teachers have shared for years, that is the nature of teachers. Then TPT came along. Are all ideas on TPT original? I don't think so! I also see many of the same things on TPT with a slightly different version. Must everything be sold now? Are TPT sellers angry because some people are giving and it hurts their business? Nancy, I think it is wonderful that you SHARE with teachers and you are always so positive and happy. I love getting your email and I thank you for your sweet spirit. If I was top seller on TPT, I don't think I'd make a negative comment to a sweet, giving person. I may rethink some of my future TPT purchases! So sad! Nancy, I don't want it to seem like I'm attacking you. That isn't my intention at all. Please feel free to delete my comments. I have done a camping unit. This will be my sixth year for it! We go fishing for math facts too! I love the hiker acrostic poem and glow sticks. We might add these on this year. I had a Camping Week a couple of weeks ago, and absolutely had a blast. I've pinned this post on my Pinterest Camping Theme page, and see several activities I'll use next year! Please give credit where credit is due. All of your ideas are from Cara Carroll. I am not trying to be rude but she deserves to be recognized for HER hard work. These are not your ideas. I apologize for not realizing that. Feel free to delete my comment. Y'all have a rockin school! Hi Nancy, do you have a template for the HIKE acroustic poem that you did for your camping unit? I love it and would love to use it with my first grade campers this summer :).